1) You Question Everything: Free thinkers are those people who can tend to irritate people who are still ‘sleeping’ because they feel the urge to question everything. They point out the faulty logic in other people’s paradigms and beliefs and they question what they see around them. A free thinker tends not to take someone else’s word for it. 2) You Had or Have a Temper: One common experience that many people who are awakening to the true nature of reality often have is that while they are finding their equilibrium, they first pass through the fires of anger or rage before learning to channel that emotion into higher creativity. This is because when a person who is awakening to a free-thinking mindset realizes all the lies they have believed, the natural emotion that is one step up from being dis-empowered is anger. Anger helps you empower yourself to burn through your sense of being a victim. Once a free thinker comes to realize that they are in the driver’s seat of their reality and that they are not a victim to anyone else, the anger passes and is channeled into the pursuits of their expansive mind. 3) You Feel the Need to Move: Free thinkers are often people who enjoy and need a lot of novelty both physically and mentally. Free are often wrapped into their own thoughts and musings, enjoying and relishing alone time, but they also feel the need to move their bodies, experience new environments, and expose themselves to different walks of life on a regular basis. Because their mind is free, the free thinker is open to exploring the world. 4) You Notice the Beauty in Everything: Free thinking is the natural state of the human mind once we un-encumber ourselves from the weight of all our programming and belief systems that are slowing down our natural processing- like a computer with too many programs. Our natural state is one of awe, of love, of exploration, and of creation. In other words we are all artists and creators and the natural way of a creator is to create and experience beauty in the world, because beauty is a reflection of one’s inner self. 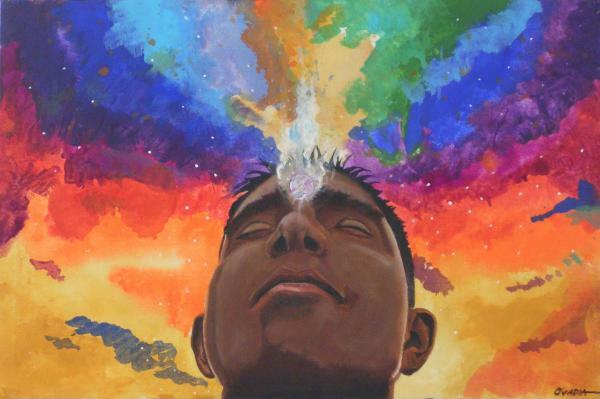 A free thinker has enough mental space to see how beautiful existence is in all its myriad expressions. 5) You Embrace Your Power: A free thinker is someone who is allowing life force to flow freely through their vessel. They are experiencing a natural flow of information and light directly from source energy and thus they recognize themselves as an aspect and an expression of source energy and in doing so, recognize the power they truly have. Free thinkers recognize their power and embrace it. The free-thinker enjoys being the co-creator of their reality. Enjoy. Thank you for reading.